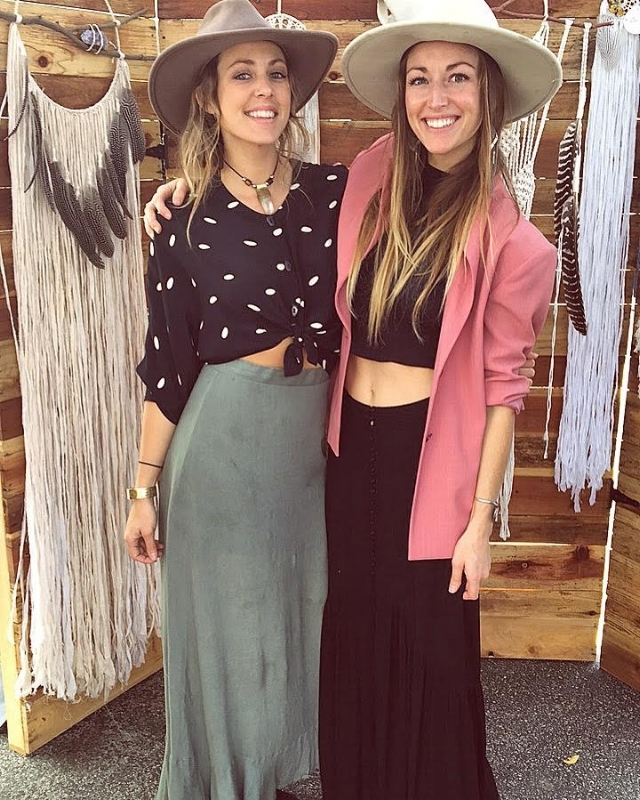 Lindsay and Jordan McDaniel, the sister duo of The Crystal Oak began as a roadside boutique in Topanga, CA. Over the course of four years, The Crystal Oak has emerged as a high-end bohemian dreamcatcher destination. Best known for their unique and whimsical dreamcatcher designs such as the Le Fleur collection. With the use of dried flowers, soft flowing fabrics, and macrame treatments The Crystal Oak sisters create an array of one of a kind and intricute wall hangings all hand crafted to perfection. Ranging from very small pieces to large scaled dreamcatcher fitting rooms in Soho, NY as well as in Austin, TX. Inspired by nature, crystals, and all things magical, these two sisters continue to bring their unique style of art and love into this world with big dreams and hardwork! Bring a little bit of magic into your world! In their Macrame Dreamcatcher workshop, Lindsay and Jordan will guide through making your very own Gibson dreamcatcher, one of the coveted styles for which they are known. Learn how to weave together cotton twine, wild feathers and driftwood to create a unique and whimsical wall hanging! Macrame Dreamcatchers with The Crystal Oak takes place on 4/8 from 6p-9p. Sign up here!